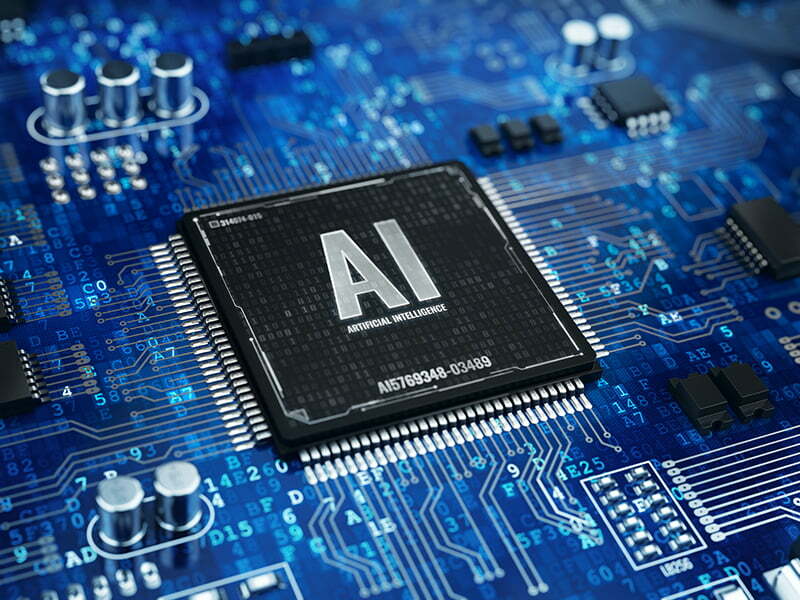 As with earlier types of emerging technologies (most recently cloud, mobile and social), there is a level of uncertainty and new considerations that IT must address when assessing AI for ITSM. See tips on how to overcome IT’s resistance to AI-driven automation here. However, with incidents now stemming from a much wider range of sources and employee’s expectations on IT service and support moving closer to real-time, forward-thinking IT leaders are quickly discovering that standing idle while the industry reinvents itself is no longer viable. Historically, communication between IT and the business has been largely reactive, triggered by issues with workplace technology as opposed to it starting as a proactive conversation about how technology can help drive more efficient business processes. Thus, IT’s role as a technology/business advisor has been greatly underutilized. AI-driven automation presents an opportunity for IT managers to extract valuable insights from their massive stores of operational data and leverage it to gain a deeper understanding of the businesses’ expectations as well as when, where, and how IT services are being consumed. With this information IT can configure AI systems to deliver automated, personalized customer experiences via real-time self-service provisioning, troubleshooting, and customer engagement. As common incident and request volumes shift from slow moving support channels (i.e., phone and email) to automated, interactive, self-service ones, IT staff can leverage human qualities such as empathy, reasoning and rapport building skills to focus more on problem management and root cause analysis, which are often ignored due to time constraints. Likewise, they can research and implement new workplace technologies, increasing the service desk staff’s morale and value to the business. AI systems are only as good as the data they can access. The old adage “garbage in, garbage out” still applies. Configuring the proper integrations between the AI system and the organization’s systems of record, gathering relevant data and using it to train AI models that can understand the organization’s unique workflows, terminologies and SLAs/KPIs requires a considerable amount of time and resources. 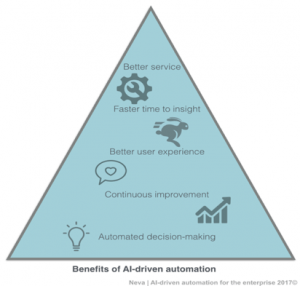 Therefore, it benefits IT to evaluate AI platforms that are purpose-built for ITSM and offer many of these attributes OOTB. Additionally, IT organizations that engage with AI, NLP and ITSM domain experts early in the data and workflow modeling process attain faster time to value and higher customer satisfaction. In this way, early adopters of AI-driven automation are gaining a competitive advantage over laggards that will adopt AI-based solutions in the years ahead. To succeed with AI and machine learning, IT leaders must identify and address technological and cultural barriers to adoption early. They must embrace practices that encourage employee involvement, communication, and training on how AI-based service delivery channels enhance efficiency across the entire organization. Robert Young is the Senior Director of Product Marketing at Astound, a company focused on automating IT service and support using AI and NLP. Robert has two decades of experience in ITSM, including 5 years at IDC as Research Director for ITSM and Client Virtualization Software. 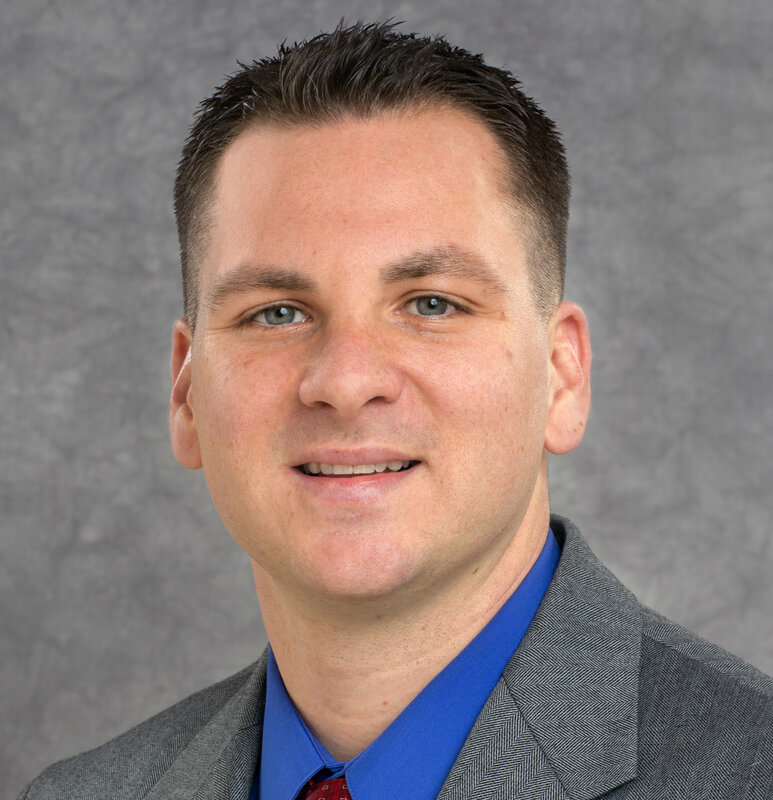 He also previously held IT operations and knowledge management positions at several large enterprises and while on active duty with the U.S. Air Force. Robert continually looks at how cloud, mobile, and AI technologies are changing not only how users interact with devices, but also how IT organizations interact with their customers. Applied vs. Generalized Artificial Intelligence – What’s the Difference? How Is Artificial Intelligence Shaping Music?